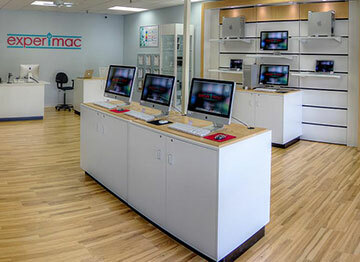 Secure Data Recovery has been servicing Illinois for decades. Our local facility in Shiloh gives southern Illinois residents the best options for data recovery and drive repair from the industry’s leader. Secure Data Recovery has a 96% drive recovery success rate and an A+ BBB rating from our satisfied customers. Our laboratories operate certified Class 10 ISO 4 Cleanrooms, ensuring the most high tech environment while your media is being recovered in our facilities. We also have a GSA Contract number, which allows us to do business with local, state, and federal agencies, along with providing an extra discount to GSA schedule buyers. We invest in the industry’s most cutting-edge technology which allows our engineers to recover data from any type of device with any type of issue. We specialize in hard drive recovery, solid state drive recovery, flash cards recovery, RAID array recovery, smartphone recovery, digital and computer forensics and more. Our specialists in Shiloh have years of experience repairing and recovering deleted or lost data from many different types of failure scenarios. We hold a number of certifications that are routinely audited by third-party companies and we provide full access to these reports on our site. We take special measures to keep your data safe with our SSAE 18 Certification. SSAE 18 certification requires companies to keep customer data secure, whether it be sensitive, financial, or any other type of data. We follow a strict set of audited standards to make sure all of your information is safe. See a list of our other certifications below. Call our customer support team in Shiloh today and ask about our no recovery, no charge policy. Our customer support team is available 24 hours a day, 7 days a week for your convenience. When you call, our support team will help you start a risk-free case and answer any questions you may have. Luke Marrali was very easy to speak/email with and provided me with all the information and options I needed to begin the process of recovering my data. Luke and the specialists with Secure Data Recovery were able to dig into what turned out to be a badly damaged portable hard drive and recover some very valuable and irreplaceable memories. I cannot thank him and Secure Data enough for working with every step of the way to get my data back to me. Alex was great to deal with. Made the process easy and communication was higher than any other customer service person I have dealt with before. Will use them again and recommend them for future recoveries. My situation was dire, my desktop was knocked over by my kids and would not boot up, it had 10 years of vital data. To make it worse, my hard drive backup crashed a couple weeks earlier, all before I had a chance to replace it. I took it to a local computer store but they could not offer very much help after running several diagnostics and trying some various tricks of the trade. They finally said the last option was to send it to a contract data recover service (which was quoted at twice the price I was eventually quoted at SDR). I eventually found SDR who had great reviews but even after doing all my homework I was still a bit hesitant to send off my hard drive to a total stranger. After all it had all my personal identifiable information (PII). However, my representative (Mitchell Moore) quickly put me at ease by carefully explaining the entire process, and he answered the numerous questions I had. I really liked that he did not pressure me to use their service and he was very patient with me, and clearly laid out a game plan for moving forward. What I also liked was the fact that you will not be charged anything if they cannot recover data, no questions asked! This feature was not offered by other data recovery services I contacted. What I also appreciated was the fact that while Mitchell remained positive at the probability of recovering my data (all before SDR even received my hard drive) he did not sugar coat anything. He said that while there was a good chance of at least partial recovery, there are still instances where it's not recoverable. I appreciate that honesty. Mitchell kept me updated during the entire process and answered his phone every time I called. SDR also sets up a personal webpage where you can check your case status. Unlike many businesses today, you really feel like like SDR is there for you,and only you. After about 10 days he passed along the results, while there was damage to my hard drive they still recovered over 98% of my data!! I got everything back, the thousands of pictures, documents, and other items I was told was a complete loss by other 'professionals' I consulted prior to SDR. Even my IT buddies at work were impressed with the amount of data recovery and the price which I paid. While data recovery is not inexpensive you won't find a better price (or better customer service) than SDR. I give them my highest recommendation, look nowhere else!